I meant to post this a few days ago when it was 79 degrees (!) outside. The first day for sun dresses in NYC! I had some time to kill between orientation and work so I decided to take a walk through Central Park and to treat myself to Shake Shack. 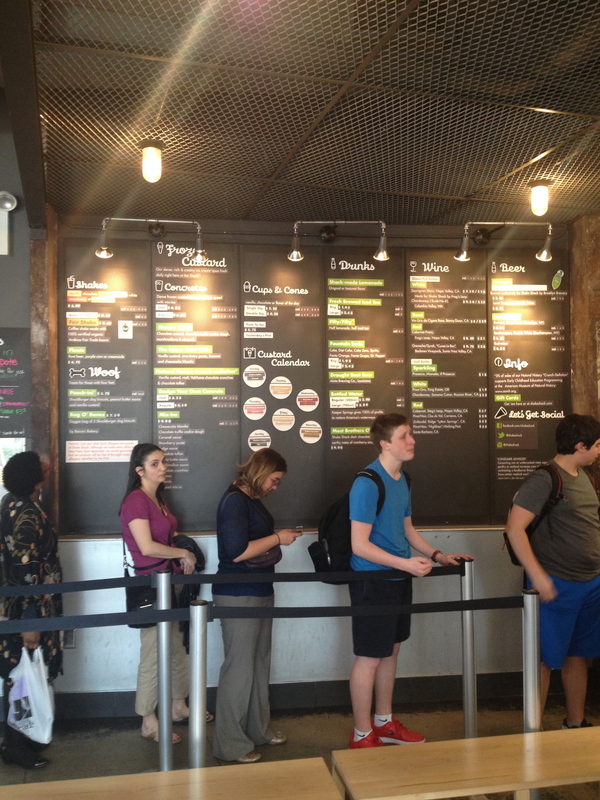 Some people say that Shake Shack is NYC’s answer to In N’ Out Burger and I have to agree. Although I LOVE In N’ Out (I grew up in CA, how could I not? 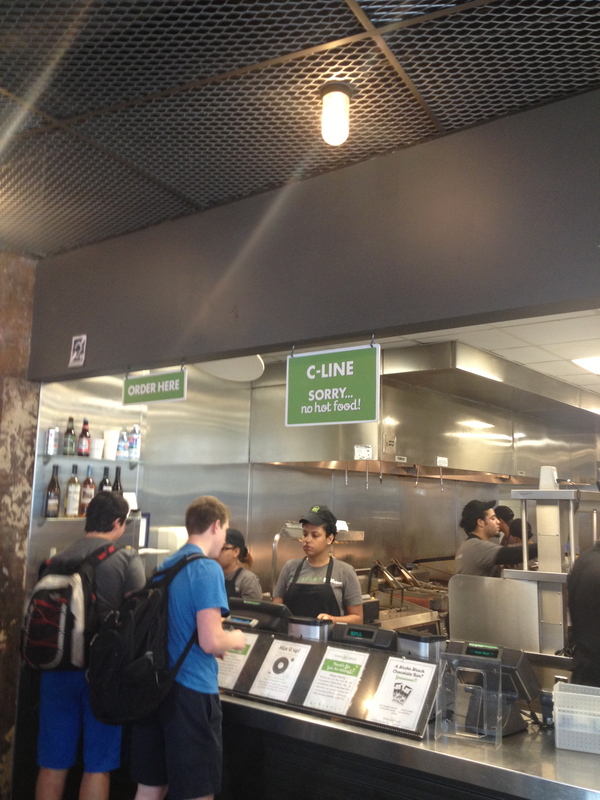 ), Shake Shack does give them a run for their money. The burgers are delicious in every sense of the word and their custard is to die for. 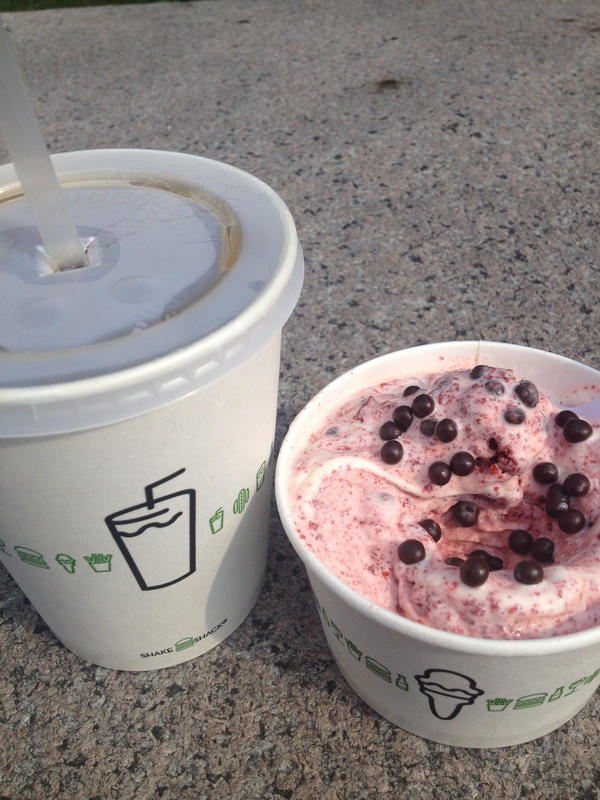 I walked from the Shake Shack on the Upper West Side on 77th and Columbus to Central Park. I wandered around for a bit and discovered a part of the park I had never visited before. It was a quintessential day in the park. I ended up walking through the park to 72nd so I decided to cut west and visit Trader Joe’s. I was out of my beloved frozen edamame so I need to stock up. I ended up buying three bags and all the fixings for WW 15 minute Chili (posting later today). All-in-all, a very successful first day in a sun dress!